Superheroes have been an important part of our childhood, and we have devoured them with a wide-eyed adoration in films, cartoons, TV shows, and of course, comic books. We all have our personal favorites when it comes to superheroes, and we chose the one who matches our voice and portrays our morals. Female superheroes and heroes of color introduced a new form of badassery and empowered millions across the world. However, for a very long time, curvy and plus-sized women didn’t have a superhero idol who recognized their voice and embodied their persona. Not anymore! With the arrival of Faith “Zephyr” Herbert, plus-size goddesses get to rejoice a superhero who’s one of their own. Faith Herbert, also known as Zephyr, was introduced by Valiant Comics back in 1992. 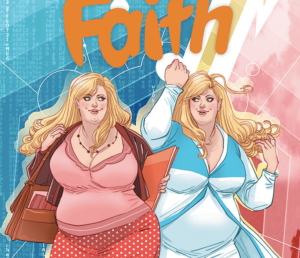 She was launched as a superhero from the Harbinger team but soon, Faith became so popular that Valiant decided to launch her very own comic book series. Jody Houser penned down the exciting comic book series, and the compelling artwork was provided by Marguerite Sauvage and Francis Portela, while the stunning cover was created by Jelene Kevin-Djurdjevic. Recently, Deadline announced that Sony Pictures is all set to adopt Faith’s story into a live-action film, titled “Faith”. Maria Melnik, who shot to fame after American Gods, has been rolled in to write the script. Isn’t that absolutely exciting? Faith is a girl just like any one of us. She adores science fiction and harbors a passion for comic books. The girl is a lover of life, and also a geek. Her superpowers include flying and telekinesis, and unlike the usual brooding superheroes, this curvy goddess is filled with charm and joy. The story takes Faith Herbert to Los Angeles, where she adopts a fake identity as a news reporter. This strikes a similar note as the story of Peter Parker from Spiderman or Clark from Superman, who also assume a secret identity as reporters. This exciting news has us jumping with joy and glee. We all vividly remember the first time Wonder Woman was introduced on the big screen, and even though we adored her, many young girls and women couldn’t entirely relate to her body and some even felt she didn’t represent them. 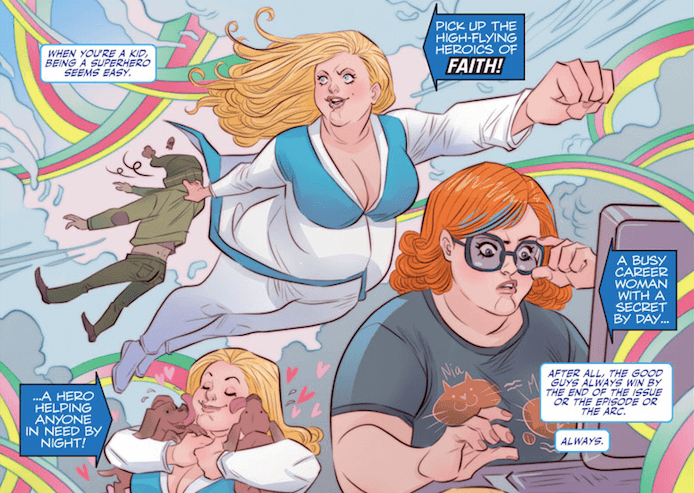 Faith Herbert is a superhero who represents many of us curvy goddesses, and we adore that! We don’t have a release date for the film yet, but we will yet to know as soon as we get a wind of the affair. We’re excited to see who bags the character of Faith, we hope its Rebel Wilson or Melissa McCarthy. The costume design will be another anxiously anticipated surprise. You can view the full interview on PBS website.